If you like the Walks of Italy Blog you’ll love our expert-guided walking tours of the most jaw-dropping attractions in Italy. Learn just a handful of Italian words and phrases… and you can transform your trip to Italy! That’s because, while English is common in Italy’s larger cities and tourist destinations (including hotspots like Florence, Rome, Venice, and the Amalfi coast), it’s not as widely spoken in Italy’s smaller towns and countryside. So to experience off-the-beaten-path Italy, a little Italian goes a long way! (And don’t worry about practicing on locals; Italians tend to be friendly and patient with foreigners). Have no idea where to start? Here’s help, including some of the most useful Italian words and phrases you’ll love having on hand! 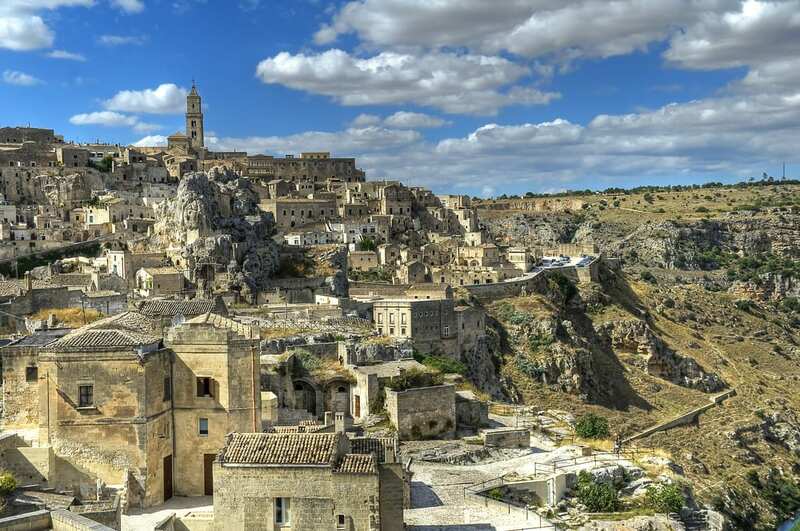 In more off-the-beaten-path towns, like Matera, it’s useful to know some Italian words and phrases before visiting. Even if you don’t learn a single Italian phrase, knowing how to pronounce the language can be a big help—if only to, say, order items off a menu, tell a taxi driver your hotel address or ask a local what the next metro stop is… and be understood! Italian words can be rather long (and poetic! ), but here’s a helpful tip for pronouncing them: most of the time, stress falls on the second-to-last syllable. 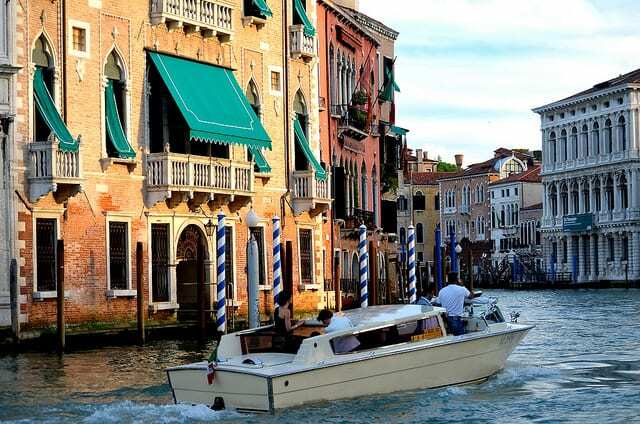 (So “Venezia” is “Ve-NE-zia”; “castello” is “cas-TELL-o”). Vowels show up a lot in lyrical Italian. So just remember that “a” is pronounced like the a in father, “i” like the “ee” in greet, and “u” like the u in rule. The vowels “e” and “o” can be open or closed, depending on the word. Meanwhile, many consonants sound like their English equivalent. The most important exceptions: the letter “c” before “i” or “e” is pronounced like a “ch,” “g” before an “i” or “e” is pronounced like the g in “general,” “h” is always silent, “r” is almost always rolled and “z” is pronounced like the “ds” in “lads” at the beginning of the sentence, and like the “ts” in sets in all other cases. Double consonants can be a bit tricky, but here are some rules to remember: “ch” sounds like the “c” in “car,” “gli” sounds like the “ll” in million, “gn” sounds like the “ny” in “canyon,” and “sc” sounds like the “sh” in “shush” before i and e, and like “sk” in “skip” in all other cases. Got that? Great! Now, here’s a quick starter guide to essential Italian words and phrases… and, of course, you’ll now be able to pronounce them! 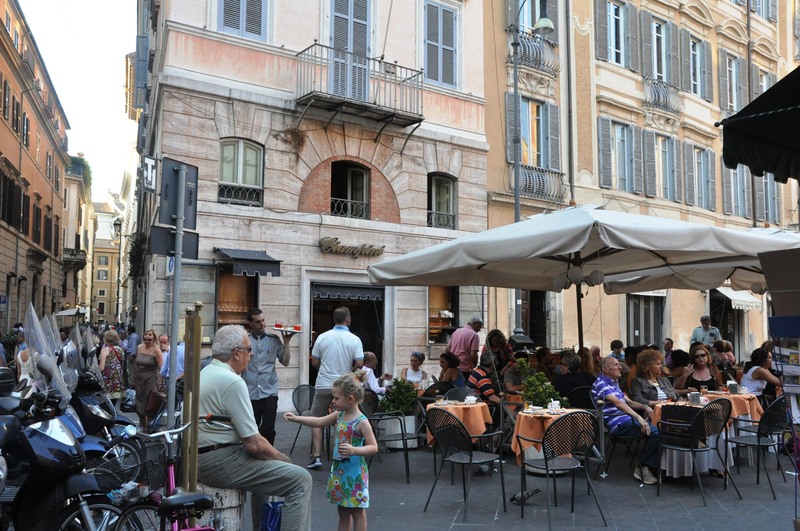 On a piazza like this one, expect to hear lots of Italian greetings! Buongiorno: Good morning. Usually said until 4pm. Buona sera: Good evening. Usually said after 4pm. Buona notte: Good night. Only used to say goodbye, it is usually said before parting ways after 10pm, or before going to sleep. Ciao: Hello or goodbye. A very informal greeting. Grazie: Thank you. You may also hear “grazie mille” (literally “a thousand thanks”) to mean many thanks. Parla inglese? : Do you speak English? This is the formal version, but you can also ask parli inglese? if you’d like to be informal. Sì: Yes. Other popular affirmations: va bene (fine), okay. Dove: Where. You may ask “Dov’è (street or landmark)…?” for directions. Dov’è il bagno? : Where is the bathroom? Quanto costa? : How much does it cost? lunedì (Monday), martedì (Tuesday), mercoledì (Wednesday), giovedì (Thursday), venerdì (Friday), sabato (Saturday), domenica (Sunday). Allora: Perhaps one of the most popular Italian words, allora is a great way to transition between sentences. It can also be used to start a sentence or question like “so…”, “well…” or “therefore…” and as a reference to a time in the past. Dai: This exclamation is short, but packs a lot of meaning. Can be used for exclamations like “come on!” or disbelief, like “really?!”. Bello: Literally means “beautiful”, but can also be used to say something is nice, like a dress for example. Bello (for males) and bella (for females) is commonly used as a salutation between friends and acquaintances. Buon appetito: Enjoy your meal. Almost always said when a meal is served. Which Italian words and phrases have you picked up along your travels in Italy? Let us know in the comments! I thought that “Che cosa é?” = what is this thing? If you want to ask “What’s that?”, you’d say “Che cos’é?”. (Cosa + é gets shortened to cos’é). You’ll also hear Italians say “che cosa?” when someone is talking about something and they missed what exactly it was (a literal translation would be, “What thing?”, but you want to be wary of translating too literally). Let us know if we can help with anything else! Yes, I used parla inglese quite a bit during the trip. “navigare” which was said to me many times when I got lost in Tuscany and asked for directions. Then I just followed a car which was showing me where to go. Can Prego also mean how can I help you? I entered a wine shop in Rome and the owner greeted me with “Prego”. Is there anything we as the customer can say in response to “prego”? Before I went to Italy I got a quick course on Italian and listened to it on my way back and forth to work which was great because there was never enough quiet at home. I spent a couple months on it and worked out fine when in Italy. I couldn’t sit in a cafe and understand what people at the next table was saying but I could get my point across and understand the answer I was getting. I enjoyed going to Italy so much I started my own Italian site and can’t wait to go back again. I only wish I knew then what I know now about planning a big trip like going to Italy. Great blog glad I found it. Hey if they say prego when you walk in a restaurant, store or something what are you supposed to answer? Prego means either “you’re welcome” or simply “welcome.” An easy “grazie” is the perfect way to respond! That’s great, Tracy! 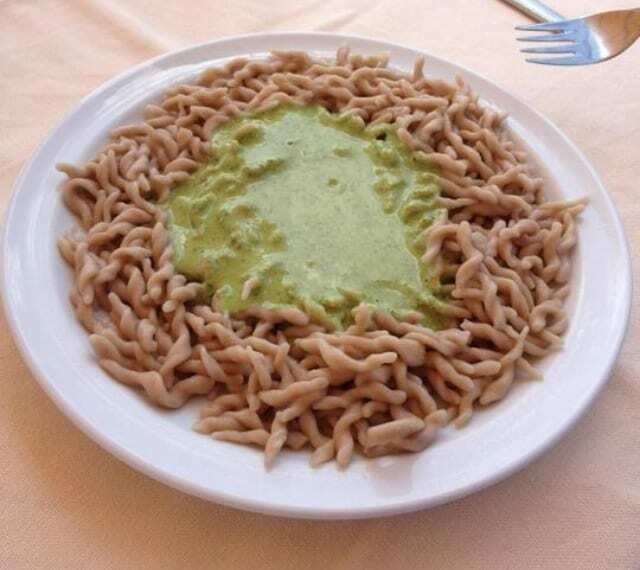 A little bit of Italian can go a long way during your Italian travels! Italian is a wonderful language. It’s likewise an incredibly fun language to speak, brimming with expressive hand gestures and beautiful expressions. Though you don’t need to be familiar with the language to appreciate an Italian vacation, knowing a few of basic phrases can make your trip much better. We always drive a lot and here are som useful words: uscita= exit, rallentare=slow down, sensa unico= one way street, lavoro in corso= road work going on. You ask for the bill: konto per favor, not to mix up with sconto = discount. Dont dear writing the words but fish in plural and peaches look the same but are said differently. The fishes with sh as in fish and the peaches with sk. Thank you for you most useful word list. It will be more helpful than just learning phrases.